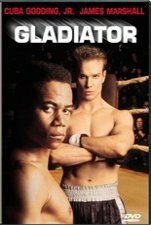 Savage boxing story focusing on a tough teen who brings his skill at defending himself on the streets of Chicago into the ring. Aside from battling a score of brutal opponents, he also goes up against a shady promoter, his gambler father and, finally, a friend whom he meets head-on in a ferocious match. James Marshall, Cuba Gooding, Jr., Brian Dennehy, and Ossie Davis star. 101 min. Standard and Widescreen (Enhanced); Soundtracks: English Dolby Digital stereo Surround, Spanish Dolby Digital stereo; Subtitles: English, Spanish, French, Portuguese, Chinese, Korean, Thai; theatrical trailers; biographies.